Photos by SAMARA KALK DERBY — State Journal. Article written by SAMARA KALK DERBY — State Journal. This article originally appeared on madison.com on April 3rd, 2006, view the article in its entirety here. 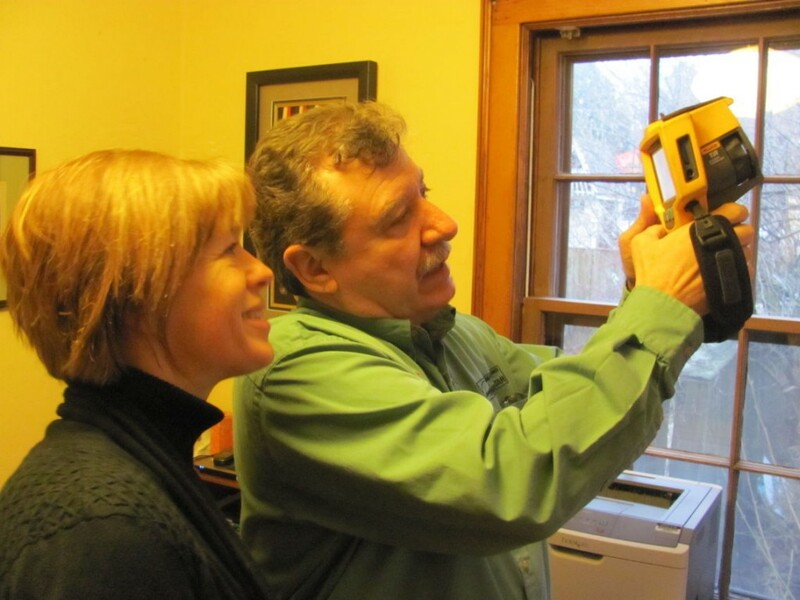 Using an infrared camera, energy consultant Robert Runchey shows homeowner Page Baldwin where air is escaping in her 1932 Cape Cod home on Elmside Circle Park. It’s all about the air seal. That’s what energy consultant Robert Runchey told homeowner Page Baldwin after doing an energy audit of her 1932 Cape Cod home on Elmside Circle Park on Madison’s Near East Side. Runchey said during a house party Baldwin held last week in association with Green Madison, a city initiative to get residents to reduce their energy consumption. Runchey, of American Home Consultants, used a blower door with a powerful fan to help measure the amount of air leakage in Baldwin’s home. 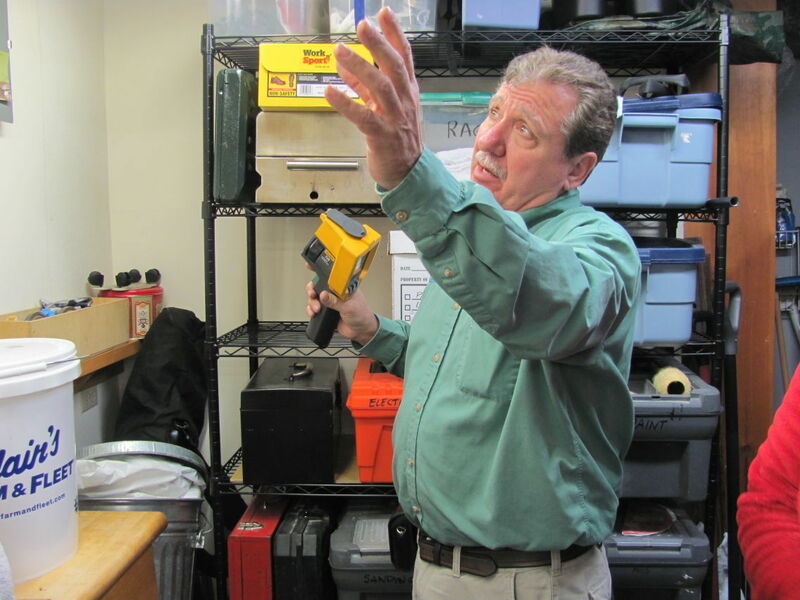 Then he went around with an infrared camera to detect where air was leaking most. he told Baldwin’s friends and family gathered in her living room for a short presentation. 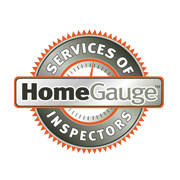 Through Green Madison, the host of the house party gets a free energy assessment and guests are then eligible for a $99 audit. Baldwin said she thought she knew a lot about her 2,100-square-foot home thanks to detailed records the former owners had left her, but she realized after the assessment that she knew little. 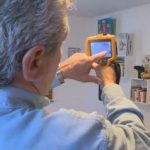 Most homeowners assume if they have new windows and insulation, they are all set, but that’s usually not enough, said Baldwin, 49, who works for WTS Paradigm, a Middleton company which makes software for the building products industry. Madison is one of 50 communities vying for a $5 million prize for reducing energy consumption. Mayor Paul Soglin announced the Green Madison initiative last summer in a bid to win the Georgetown University Energy Prize. The winning community, announced in 2017, will be required to spend the $5 million over multiple years on local energy-efficiency programs. At the end of last year, Madison was in the top 20, which puts the city in contention for the prize, said Christofer Nelson, program director for Georgetown University Program on Science in the Public Interest, and the prize’s project director. Updated rankings will be available in the coming weeks, he said. The prize assesses more than just the energy saved, he said. Georgetown is also looking for innovative programs that can be replicated and scaled across the country. Madison is being featured this week on the prize’s website, guep.org to highlight Cool Choices, an online card game developed by a Madison-based nonprofit of the same name. About 1,200 local people played the game, developed in partnership with Madison-based Filament Games, last fall to engage in sustainability efforts, said Raj Shukla, Cool Choices’ director of programs. What’s more, he said, 42 businesses and organizations across the city signed on, encouraging their employees to take part. Shukla, who also serves as chair of the city’s Sustainable Madison Committee, wants to expand the game’s reach in the future, but that will depend on getting more funding from the city. Cool Choices is just one way Green Madison is aiming to win the prize. 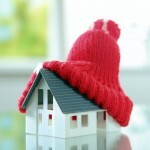 The house parties are another key component, trying to get city residents to undertake large energy saving programs in their homes. Another piece is Madison’s work with the Brendle Group, a sustainability engineering and planning firm out of Fort Collins, Colorado, which is helping city administrators improve operational efficiency in city facilities.